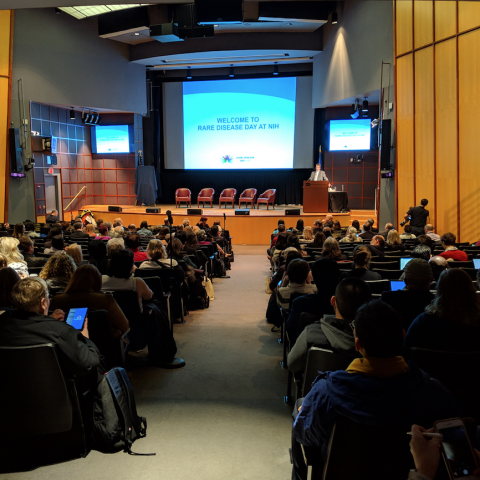 That sense of determination underscored the 12th International Rare Disease Day on February 28, 2019, on which hundreds of scientists, physicians, advocates, family members, and patients themselves gathered at the National Institutes of Health in Bethesda, MD (with thousands more participating via livestream). There are nearly 7,000 rare diseases, more than half of which affect children, and only 5% of which have an FDA-approved treatment. Together, they are anything but rare, afflicting an estimated 30 million Americans – approximately the same number as type 2 diabetes. The difficulties in diagnosing, understanding, and treating these diseases have galvanized the patient communities, fueling passionate advocacy and heightened research efforts. The power of patients and their input has been critical in addressing the challenges in developing treatments. 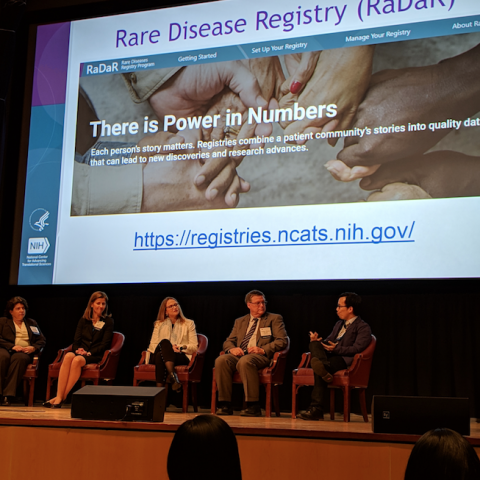 With vital help from patient organizations, patient registries such as NCATS’ RaDaR (the Rare Diseases Registry) have organized key information about rare diseases and patients, facilitating recruitment for research studies. Collecting comprehensive, high-quality data has played a major role in demystifying these diseases and speeding up what are often lengthy diagnoses. Numerous efforts are underway to share this data with the research community to accelerate discoveries. Democratizing access to cutting-edge technologies is essential for reaching rare disease patients. A current NIH clinical trial to treat sickle cell disease (the first molecular disease, described over 100 years ago) was discussed by a panel including a physician, study coordinator, a parent of a patient, and a patient who went through the trial. One of the NIH sickle cell trials was subsequently featured on 60 Minutes. The approaches and values highlighted in these sessions are central to our work at NYSCF, and we were honored to participate in this important day. By making technologies like the NYSCF Global Stem Cell ArrayTM available to the rare disease research community, we have created the first laboratory models of certain rare diseases and facilitated breakthroughs into understanding how these diseases work. “This is a scientific moment where we can make rapid progress in this area,” remarked NIH Director Francis Collins, MD, PhD. 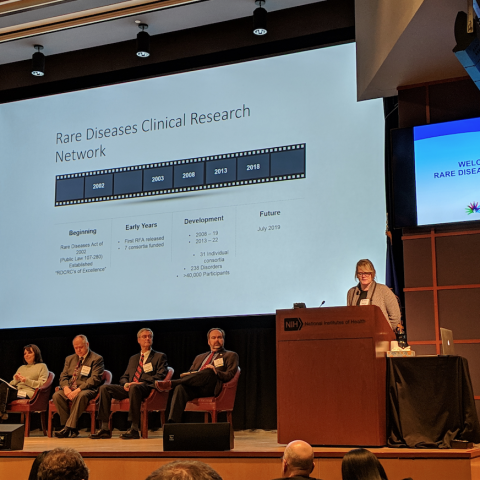 Thanks to all of these efforts, awareness of rare diseases is steadily growing and research is moving faster than ever. 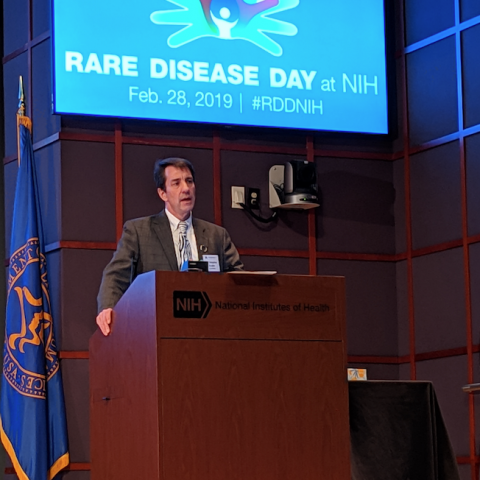 For more on Rare Disease Day, check out the social media highlights (#RareDiseaseDay and #RDDNIH on Twitter) and watch the videos here.